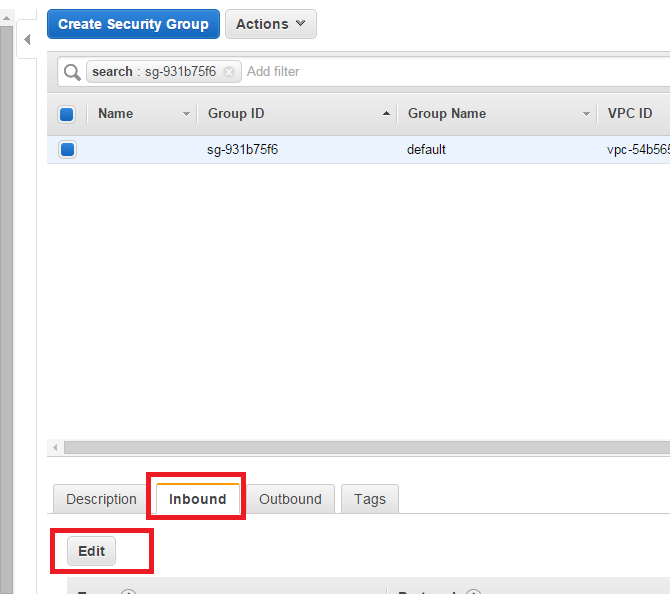 In the navigation pane of the Amazon EC2 console, click Instances. Select your instance and look at the Description tab; Security groups lists the security groups that are associated with the instance. Click view rules to display a list of the rules that are in effect for the instance. In the navigation pane, click Security Groups. Select one of the security groups associated with your instance. In the details pane, on the Inbound tab, click Edit. In the dialog, click Add Rule, and then select SSH from the Type list. In the Source field, specify the public IP address of your computer, in CIDR notation. For example, if your IP address is 203.0.113.25, specify 203.0.113.25/32 to list this single IP address in CIDR notation. If your company allocates addresses from a range, specify the entire range, such as 203.0.113.0/24.